“This year’s wildfires in Washington and across the West marked some of the worst on record. While we may wish this was an outlier, it’s more likely a taste of what’s to come. We best honor those most affected, both victims and firefighters, when our response improves a situation that is far from simple. With respect to drier forest types, our present vulnerability stems from a variety of factors—notably decades of fire suppression, logging of resilient old-growth, and industrial management—that combine to produce fire-prone conditions exacerbated by drought and climate change. Our response must be similarly multifaceted. Fortunately, solutions are available in the form of collaborative tactics with benefits for both communities and wildlife. We gain both safer communities and healthier habitat when we improve the resiliency of our drier forests and the landscapes they comprise. The most important tool for this is fire itself, which we must restore to western landscapes when and where it’s safe to do so, often done following careful thinning to reduce density while retaining larger, fire-resistant trees. We must also reduce sources of human-caused ignition, since grasslands, chaparral, and even the best managed forests will burn under certain dry, windy conditions. 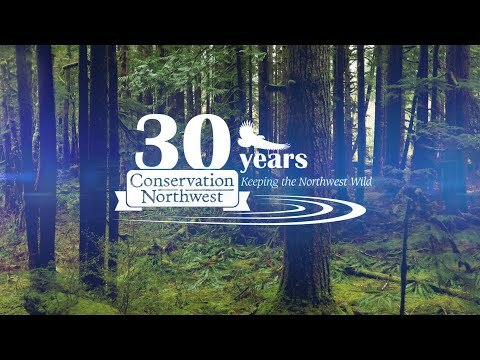 “Keeping the Northwest wild” since 1989, Conservation Northwest is a regional conservation organization working to protect old-growth forests and other wildlands, connect large landscapes and vital habitats, and restore native wildlife.